The Deluge of 11,000 B.C. buried the Anunnaki’s space facilities in Iraq–the landing corridor, hangars and warehouses at Sippar as well as Mission Control at Nippur. The Anunnaki, ET Homo Sapiens from the planet Nibiru, came to Earth for gold. They shipped Earth’s gold to Nibiru to shield its diminishing atmosphere. The Anunnaki adapted their genome to create slave-Earthlings–us–to mine the gold for them. After the Deluge, they chose the Sinai Peninsula for a new landing strip and port facilities. They picked Mount Moriah (Jerusalem) for the new Mission Control Center. Enlil, the Anunnaki Commander, placed the new Control Center. He drew a line from the Landing Platform in Lebanon (which had survived the Deluge) and Mount Sinai on the Peninsula. Where this line crossed the 30th Parallel, he housed the equipment to talk with spacecraft and Nibiru. 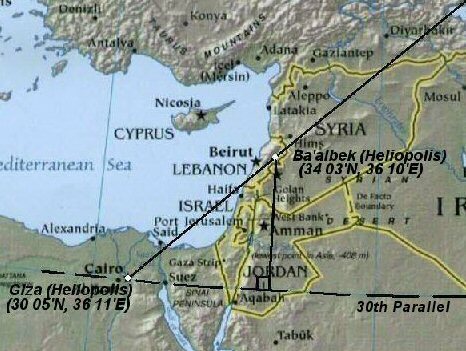 For the new runway, Enlil selected Sinai, on the 30th Parallel, as the boundary between his lineage, the Enlilites, and the lineage of his brother and rival, Enki, head of the Enkiite lineage. Enlil and his sons and grandchildren controlled the area north of Parallel 30; Enki and sons ruled south of the Parallel. Giza, near the Nile in Egypt, sat due west along Parallel 30 from the new runway. 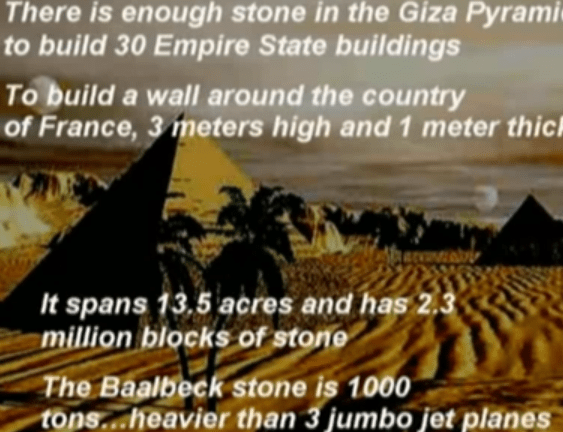 To mark the 30th for aircraft above, the Commander had Enki’s son Ningishzidda and Anunnaki assistants build the Great Pyramid and a twin pyramid on Parallel 30 at Giza. The pyramid beam shone as a beacon. 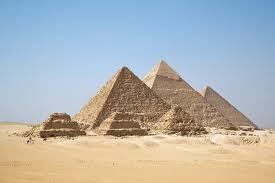 The Giza pyramids marked the southwest end of a line that started at Mt. Ararat (Turkey) in the northeast. 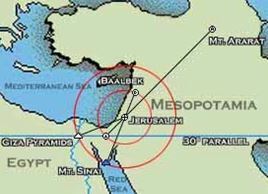 The line ended at the runway on the 30th Parallel on the Sinai, at Tilmun, the name the Anunnaki gave the new landing facilities Enlil had ordered to replace the facilities the Flood destroyed at back at Sippar (Iraq). Ningishzidda perched the Mission Control Center for Tilmun at Mount Moriah (future Jerusalem). Beneath the Great Pyramid, Ningishzidda stored master computer programs and the annals of the Anunnaki. “Beyond the understanding of Earthlings it is, house of eternity. Its foundation stones the waters touch,” Ninmah, sister and former lover of both Enlil and Enki added. A channel from the nearby Nile drew water to a stagnant pool under the Great Pyramid. A pump pulsated the pool and started a microwave that pulsed up to a combustion chamber. In this chamber, hydrated zinc and hydrochloric acid mixed and freed hydrogen gas. The gas exploded upward and added power to the pulse from the water pump below. 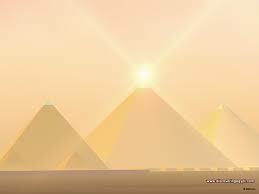 Crystals amplified the now amplified wave it as it rose toward the pyramid’s apex. The wave continuously rose and flowed out of the pyramid near its top. This continuous microwave beamed into the sky. The microwave marked the 30th; it also powered Anunnaki machines. Enki’s firstborn, Marduk, who’d led the Mars astronauts before Nibiru’s 11000 B.C. nearing ruined Marsbase, expected command of the Tilmun Sinai Spaceport. Marduk had lost his job on Mars Nibiru’s nearing destroyed the base there. He reasoned that Enlil would give him command of Tilmun since it sat south of the 30th parallel where Marduk’s father Enki ruled. But Enlil resisted Marduk. 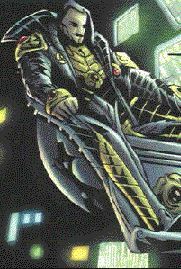 Marduk had allied himself Shamgaz, leader of the now-defunct Mars astronaut corps who had defied Enlil’s authority. Marduk had also, when he wed the half-breed Earthling Sarpanit, further allied himself with the Earthlings, whose rising population Enlil feared. Marduk had furthermore supported Astronaut Commander Shamgaz and the Mars astronauts who’d seized Earthling brides and the Landing Platform at Baalbek, Lebanon. No way would the Commander give Marduk any position of authority. Marduk had married Earthling Sarpanit and supported Astronaut Commander Shamgaz and the Mars astronauts who’d seized Earthling brides and the Landing Platform at Baalbek, Lebanon. So, at the celebration at which the Ekur (House Like A Mountain), as the Anunnaki called the Great Pyramid, instead of Marduk, Enlil said his own grandson, Utu, would command Tilmun. Enlil, in his speech in which he dedicated the Ekur, honored Enki’s son Ningishzidda, as a sop to Enki, whose region of control included the Ekur and the Spaceport. Enlil declared Ningishzidda’s face would be chiseled on the Sphinx, a statue of an eastward-gazing lion that marked the complex. On the Sinai, Ninurta, Enlil’s son and heir whose mother was Ninmah, build her a palace on Mt. St. Katherine on the Sinai. Canaan, “the dark-hued landmass that the Abzu [Africa] included to Enki and his clan was for domains granted, the people of Ziusudra’s middle son, Ham, to inhabit it were chosen. To make Marduk their lord, of their lands the master, Enki to appease his son Marduk suggested.” Enlil concurred and confirmed Marduk and Ham’s line in Canaan. For 300 years, peace prevailed on Earth. Enki moved to Elephantine (Abu) Island near Aswan (Syene). From Abu, he (now called Ptah) ruled Egypt. Enki’s Earthlings built dams, dykes and tunnels and controlled the Nile’s flow to the Mediterranean. Then Enki abdicated and gave Marduk, (now Ra) official rule of Egypt and its Earthlings. Marduk, in turn, left Egypt to his sons Osiris (Asar) and Seth. Seth slew Osiris, but Osiris’s son, Horus (Horon) wounded Seth (Satu). Ninurta, in a new jet with a 75-foot wingspan blasted Marduk’s stongholds “while Adad roamed behind the enemy lines” and destroyed the fish, cattle and food of the Enkiites and their Earthling armies. Nergal “broke through Ninurta’s lines and came to Marduk’s aid. Nergal strengthened the pyramid’s defenses “through ray-emitting crystals positioned within.” But Marduk’s brother Ningishzidda refused to defend him. Marduk’s other brothers, Ninagal and Gibil, his father Enki and Marduk’s grandson Horon joined Marduk in the pyramid. The Enkiites made their stand together in the Giza Pyramid. Ninmah lied that King Anu sent a message from Nibiru that ordered a cease fire then a peace conference. Enlil’s youngest son, Adad, objected; he demanded Enkiites surrender unconditionally. Enlil overrode Adad and told Ninmah, “To your palace [the Harsag, above the Sinai] bring Enki and his issue.” Ninurta gave Ninmah a suit that protected her from radiation. “Keep Marduk from ever ruling Giza or Lower [Northern] Egypt and deal’s done.” said the Commander. Enki accepted Enlil’s offer. For Dumuzi’s death, the Enlilites sentenced Marduk to die of starvation in a chamber of the Great Pyramid. 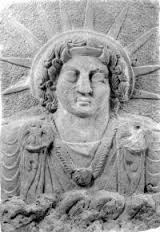 Anu, the Nibiran King, however, commuted Marduk’s sentence to exile to North America,. So Enki, as per the deal, replaced Marduk in Lower Egypt with Ningishzidda, Enki’s son with Enlil’s granddaughter Ereshkigal. Ningishzidda had refused to fight for Marduk and Enki against Ereshkigal’s paternal uncle, Ninurta. The Enlilites could accept Ningishzidda, though an Enkiite, to rule Egypt, since his mother, Ereshkigal, was an Enlilite. Both lineages accepted Ningishzidda as Nile Delta ruler.